Retired Airman 1st Class Julius Farrar was awarded the Purple Heart by Lt. Col. Kyle Kloeckner at Nellis Air Force Base, Nev., April 28. Farrar served in the mountains keeping a transmitter working 24 hours a day, seven days a week during the Korean War. 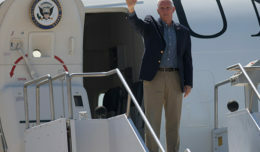 NELLIS AIR FORCE BASE, Nev. – Julius Farrar words begin to fill the auditorium and a hush engulfs the crowd that looks upon him as they listen with reverence. 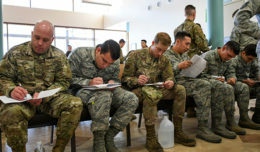 Respect is apparent just by gazing around at the Airmen who now hang on Farrar’s every sentence. As the medically retired Airman 1st Class begins to speak of his trials during the Korean War, every Airman in the room feels the weight of what the Airman who was just awarded the Purple Heart has had to endure. 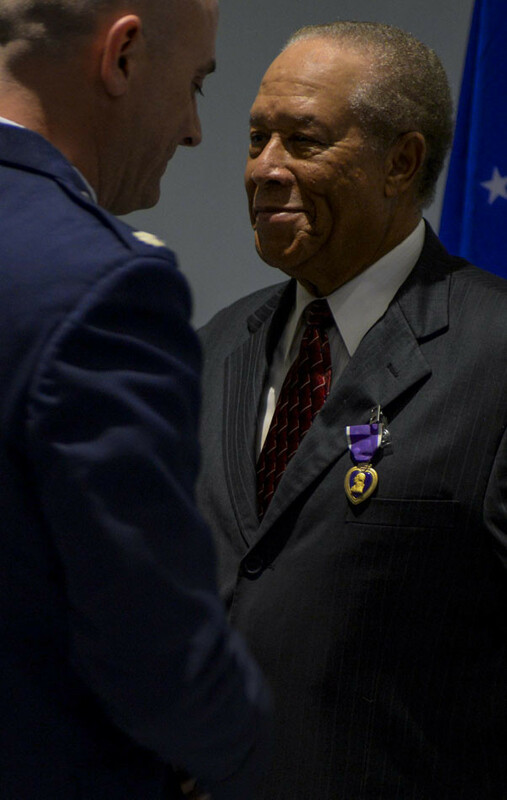 Julius Farrar, after six decades, was awarded the Purple Heart for injuries that he sustained during the Korean War a ceremony in his honor on at Nellis AFB, on April 28. Upon receiving the award Farrar expressed his gratitude and appreciation in regards to not only receiving the accolade, but also to the crowd that came to witness the event. Once he thanked the crowd, Farrar began to describe a portion of his experiences and his role while serving in Korea during the war. After painting this hallowing picture for his captivated audience, he recounted even more trials and tribulations that the Korean War had for the group stationed in the mountains. Being in those mountains during the war tested Farrar and the men he was stationed with, but even with all these obstacles the men endured. Through this ideology, Farrar and the Airmen who served at this post endured and survived so that they could accomplish their vital mission. Even being only an Airman 1st Class, Farrar realized early the importance of his role and the role of his fellow Airmen. While talking to the auditorium of Airmen, this is one of the messages that he hoped to emphasize. 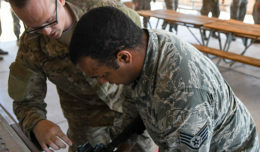 Upon conveying this message to the group of on-looking Airmen, Farrar began to talk about his childhood and what guidance made him into the man he is today. As these words leave his lips, Farrar takes a moment to thank the crowd, once again, for sharing this moment with him. Stepping down from the podium and walking back to his chair, Farrar is thanked for his service and congratulated for his award at the same time by a long applause by the audience that was moved by his words of inspiration.